Online tee times are not availabile for West Cliffs. West Cliffs is an exciting eighteen hole link golf course and is the latest addition the courses close to Caldas da Rainha. 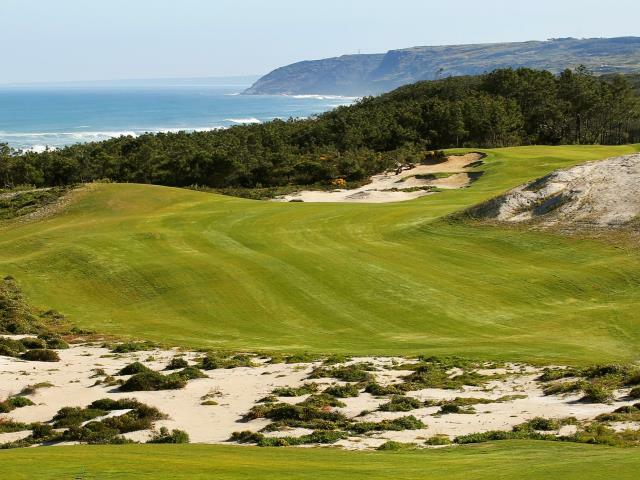 An added attraction of playing West Cliffs Golf is that most of the holes will also present very stunning views of the Atlantic ocean. The golf course has a thoughtful selection of five tees per hole which will improve the enjoyment by providing the correct level of playing challenging for most golfers. The architect has taken care to integrate the fairways whilst preserving the natural landscape and respecting the local vegetation. The West Cliffs course is well supported by its luxury resort which is always an added benefit for visitors. Superb new links course . Very challenging. We played in 4 hours which is unheard of in Portugal . Great staff , food , ambience and pure quality . To post a review, score or a notice on West Cliffs page's or to connect with other West Cliffs golfers, please log in to your account or sign up using Google or Facebook.